Inara is a product of the excelent breeding program at Patigonia Alpacas. She fooled is into thinking she was fawn, but she's really a likght rose gray. Her sire was a true black and her dam has a lot of black in her background so we feel there is a good possability that she will produce black or gray. He fleece exhibits good character and staple length, however it is running to the coarse side. 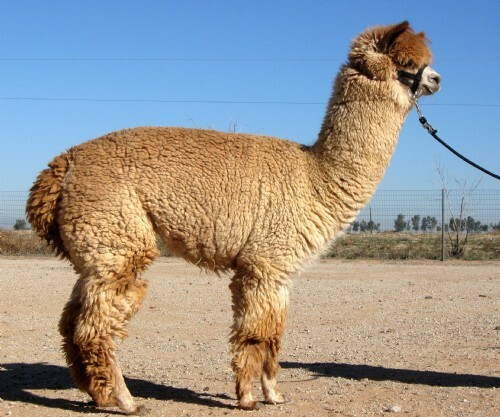 We plan to brred her to our ultra fine herdsire, Alpacazona's Aries in the hopes of correcting that in her offspring.